I.S. 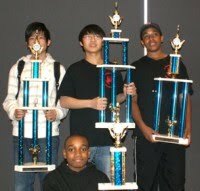 318 in "Brooklyn Daily Eagle"
The chess students at Intermediate School 318 are featured in an article from the Brooklyn Daily Eagle. 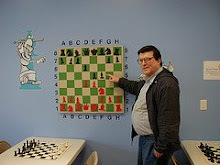 In last night's game/30 Swiss tournament at the Marshall Chess Club, I drew this game. 27.Ne5 Qd5 28.Nf3 Qd7 29.Ne5 Qd5 30.Nf3 Qd7 31.Ne5, draw. You may have noticed that the ChessUp diagrams are back again at my blog. It turns out that the problem was an old credit card! Today I sent this e-mail to CHESSUP.NET@domainsbyproxy.com. 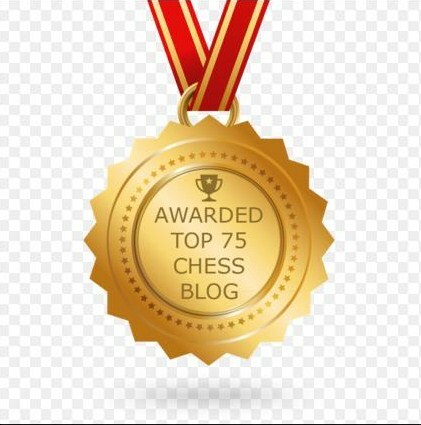 I am a chess blogger who has been using ChessUp for many years to generate diagrams at my blog. As of a few days ago, all the diagrams have gone blank. 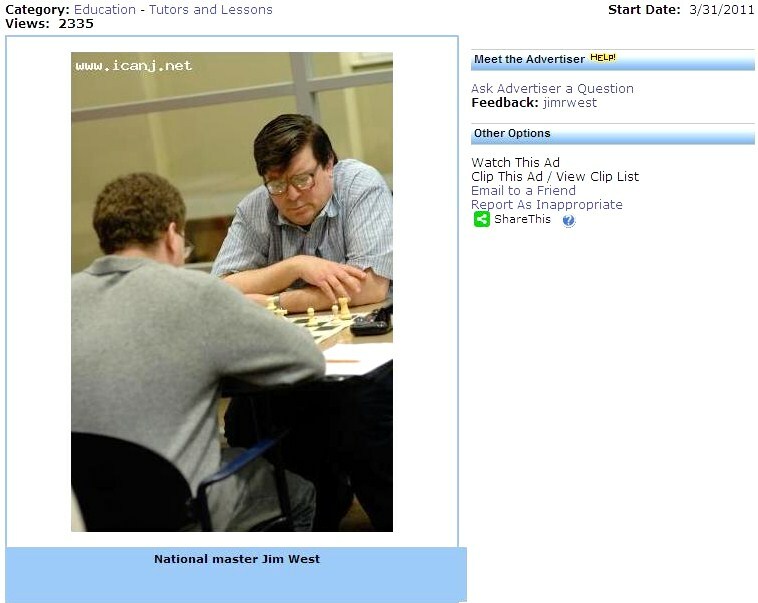 According to the Go Daddy website, the domain name for ChessUp expired on 4/23/2011. A sales and support representative at Go Daddy informed me when I called that the deadline for renewing the domain name is 6/2/2011 at a cost of $9.99. Speaking not only for myself but for the many other bloggers who use ChessUp diagrams, I ask that you please renew the ChessUp domain name. Thank you for your help. 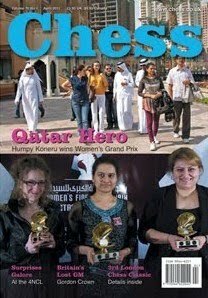 The April 2011 issue of Chess magazine has a book review by Sean Marsh of Frank Brady's Endgame. 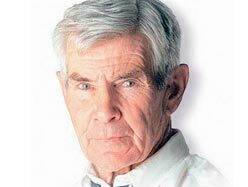 Sunday's chess column in The Charlotte Observer discusses Bobby Fischer's ironic quest for privacy in a world of targeted consumers. On Saturday, in a game/60 Swiss tournament at the Marshall Chess Club, I finished with a score of 3-0-0 with a half-point bye in the first round. 38.a4 bxa4 39.bxa4 Kd7 40.Kd3 Kc6 41.Kc3 Bc5 42.Kd3 Bxd4 43.Kxd4 a5 44.Kd3 Kc5 45.Kc3 d4+ 46.Kd3 Kd5 47.Kd2 Ke4 48.Ke2 d3+ 49.Kd2 Kd4 50.Kd1 Ke3 51.Ke1 d2+ 52.Kd1 Kd3 53.h3 gxh3 54.g4 h2 55.gxh5 h1=Q#. 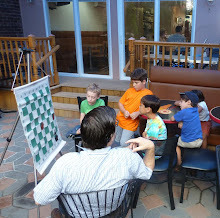 Below are pictures that I took before the Wednesday night league at the Dean of Chess Academy and during the Thursday night action Swiss at the Marshall Chess Club. 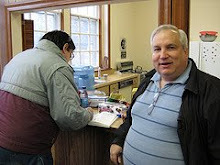 Take a look at Joe Renna's photos of Dean Ippolito's world record event in Raritan on April 9th. Last night, I drew this game in a game/30 Swiss at the Marshall Chess Club. 34.Rad1 Re2+ 35.Kf3 Rxe5 36.Rg1 Rf5+ 37.Ke2 Rxf6 38.Rg7 h5 39.Rf1 Rxf1 40.Kxf1 Nd8 41.Bg5 e5 42.Bxd8 Kxd8 43.Rxf7 a4 44.bxa4 Rxa4 45.b3 Ra2 46.Rf2 Ke7 47.Kg2 Ke6 48.Kg3 Ra8 49.Kh4 Rh8 50.Rg2 Kf6 51.Rg5 Ra8 52.Rg2 Rh8 53.Rg5, draw. Photojournalist Harry Benson [pictured] has created photo books on the Beatles, Robert Kennedy, and Ronald Reagan. 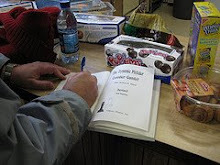 Benson's photo book on Bobby Fischer will be published in July 2011 to coincide with HBO's release of the documentary film Bobby Fischer Against the World. 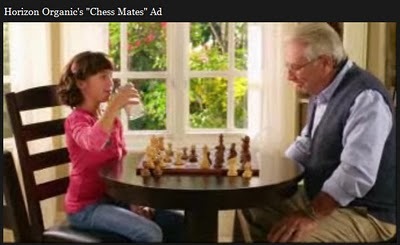 In this advertisement for organic milk, a girl says "Checkmate" after playing 1.Qh5+. But her grandfather can simply capture the queen by 1...Nxh5. 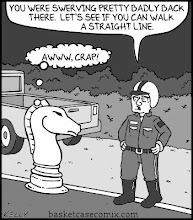 Even 1...g6 is good enough to delay the mate. 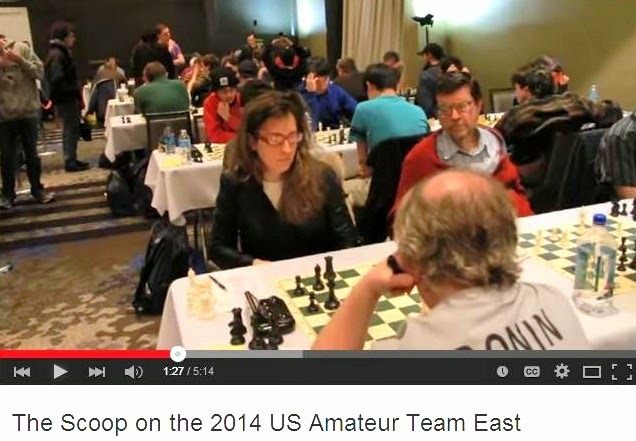 Mark and Donna of Chess.com recap IM Dean Ippolito's world record event in Raritan. 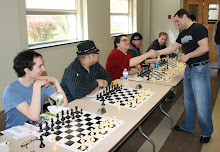 Lou Sturniolo reports on how the members of the Kenilworth Chess Club fared against Ippolito on April 9th. 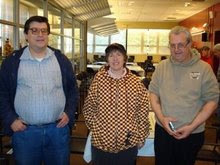 On Sunday, I had a quick win in the final round of the under 2300 tournament at the Marshall Chess Club. 15.Nge4 Nc8 16.c5 Qe7 17.Bxa6 bxa6 18.cxd6 Nxd6 19.Bc5, Black resigns. 39.bxc5+ Kxc5 40.cxb5 Bxb5 41.Bd3 Ba4 42.Bc2 Bxc2 43.Kxc2 Kd5 44.e4+ Kc4 45.Kd2 Kd4 46.Ke2 Kc4 47.Kd2 Kb4 48.Kc2 Kc4 49.Kd2 Kd4 50.Ke2 Kc3 51.Ke3, draw. 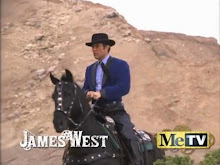 Peter Worthington's Review of "Endgame"
Canadian political columnist Peter Worthington [pictured] reviews Frank Brady's Endgame. 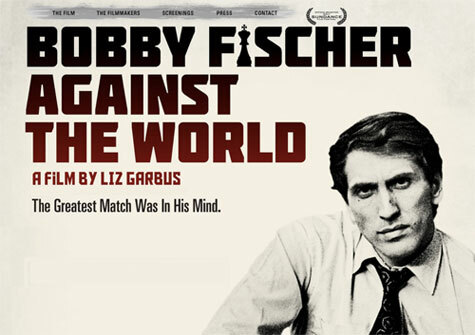 The documentary film Bobby Fischer Against the World is playing at the Florida Film Festival. Here are reviews from the Orlando Sentinel and The Daily City. 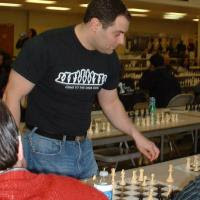 On Saturday, candidate master Lev Zilbermintz drew this game against international master Dean Ippolito at the world record event in Raritan. 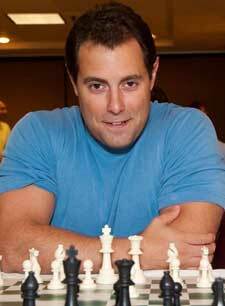 Ippolito's final score was 67 wins, 4 losses, and 20 draws, for a winning percentage of 84.6%. 11.Nxe5 Bxe5 12.f4 Bg7 13.Rb1 Bd7 14.b4 Rb8 15.Bb2 Bxb2 16.Rxb2 a6 17.Re1 e5 18.dxe6 Bxe6, draw. 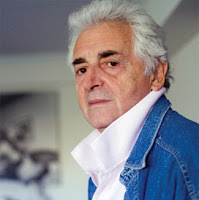 At Contre Gambit Philidor, Frederic Fournier suggests an improvement for Black in my game against Richard Blank [pictured]. Ippolito Simul at "Chess Marks the Spot"
At his Chess Marks the Spot blog, Mark [pictured above with Donna] from Chess.com describes the sights and sounds of IM Dean Ippolito's simul in parts one and two. Here are more photos that I took at the world record event in Raritan. Yesterday I drew this game at the quads in Westfield. 32.Ke3 Kc5 33.b4+ Kd5 34.g3 Be8 35.h4 g5 36.Kd2 gxh4 37.gxh4 Bd7 38.Ke3 Be8 39.Be2 Bd7 40.Bd3 Be8 41.Bf1 Bd7 42.Bd3, draw. 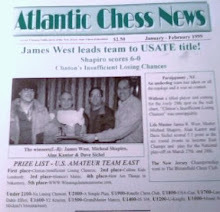 On Saturday, IM Dean Ippolito played a simul in Raritan against 91 rated players, short of the Guinness world record of 135 but good enough to establish a new record with the World Record Association. 9.Rc1 Bxc3 10.Bxc3 Ne4 11.d5 Na6 12.Bd4 Nac5 13.Nd2 Nxd2 14.Qxd2 Qe7 15.Rfd1 d6 16.Bxc5 bxc5 17.dxe6 Bxg2 18.Kxg2 Qxe6, draw. Reviews of "Queen to Play"